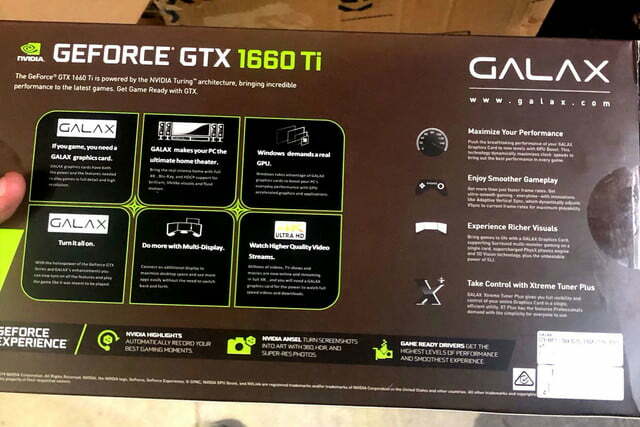 Adding more fuel to the rumor fire for Nvidia’s allegedly midrange 16-series graphics cards are a number of new images that purport to show the packaging for a GTX 1660 Ti. There are also some snaps of the cards themselves, though they appear to be smaller than your average GPU with only a single fan cooler attached. Nvidia’s RTX Turing graphics cards might be powerful, but sales have reportedly been lower than expected leading to a downturn in revenue for the company, and a drooping stock price. Anecdotal evidence from hardware enthusiasts and gamers would suggest that the high price of the cards was a major contributor to that. Nvidia’s long-rumored GTX midrange Turing cards may solve that problem and we may not be far from a release. Videocardz not only has images of some 1660 Ti boxes and the cards themselves, but is suggesting that they will launch on February 22. 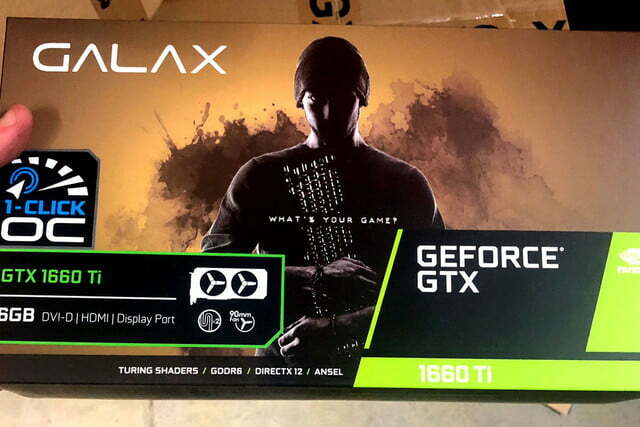 The first images to appear online debuted on Reddit with handheld images of the packaging for a Galax GTX 1660 Ti with 6GB of GDDR6, a dual 90mm fan cooler, and DVI-D, HDMI, and Display Port connectors on the back. It didn’t take long for more images to appear online, though they appear to be product listing images rather than those taken by an individual with the card in hand. 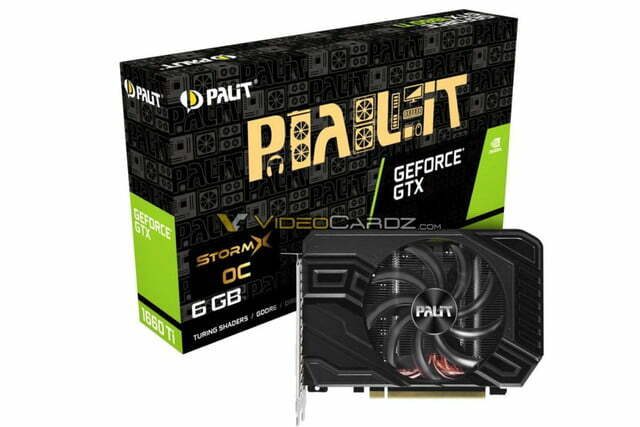 The Palit 1660 Ti appears to have the same 6GB of GDDR6 and 1,526 CUDA cores, but comes in two flavors. The StormX and StormX OC. Each has the same single-fan cooler design sitting atop a large aluminum heat sink with copper heat pipes. We’re told that this is the miniature version of the card designed with ITX systems in mind, with the main difference between the two being clock speed — although there’s only around 45MHz in it. Joining that leak is another from EVGA which also targets the mini-ITX format with a pair of single-fan GTX 1660 Ti cards. Videocardz claims that they too have 6GB of GDDR6 and 1,526 CUDA cores. No clock speed information was revealed. Sources suggest that all of these cards will launch on February 22. 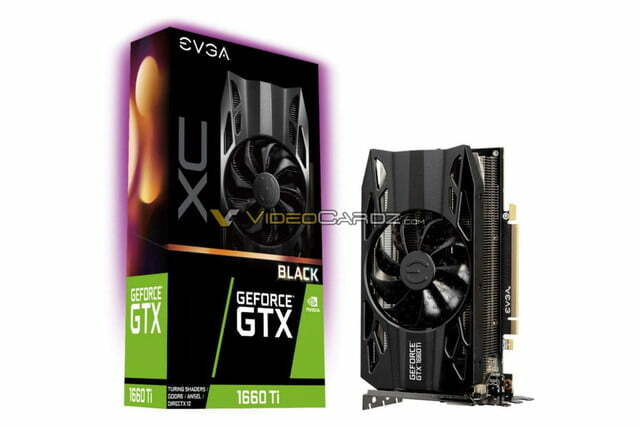 No specific pricing has been suggested, but earlier rumors stated that the 1660 Ti would debut with a recommend price tag of $280. That would put these cards in direct competition with AMD’s RX 580 and 590, as well as Nvidia’s own GTX 1060.